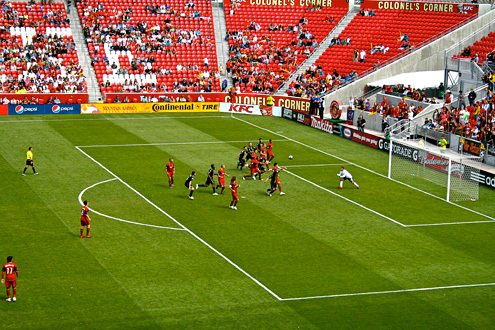 I had the chance to cover Real Salt Lake last week on assignment for USA Soccer Stud. In addition to following two World Cup hopefuls from the press box, I snapped some pics with my trusty (but basic) SLR camera. Who knew sports photography was this hard! ?